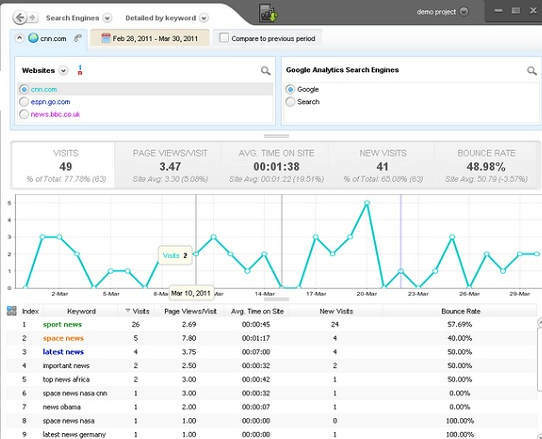 A software to analysis the search positions in the major search engines is an essential tool for any SEO specialist. Advanced Web Ranking tool is certainly one of the most reliable, comprehensive products currently on the market. After you have completed all the onsite optimization including a detailed keyword analsys it’s important to verify the results before starting an off-site link building campaign. In addition to analyzing the search position results of your chosen keywords you will need a software to carry out this rather laborious task. 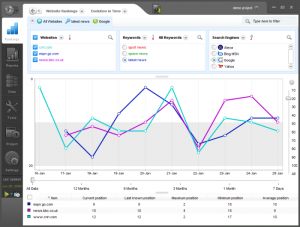 Currently on the market are numerous SEO software solutions on offer. One of the best for sure is most definitely Advanced Web Ranking from Caphyon. The setup is very simple: just enter the keywords for analysis, the search engines on which to set the research and the web sites to be monitored including the possibility to automatically add competitor web site positions as well. The keywords can be added or deleted at any time. The program can handle an unlimited number of projects, making it indispensable to SEO consultants or digital media agencies with numerous clients. Each project can contain an unlimited amount of keywords and URLs, displayed with different colours for easy viewing of the “Evolution in Time” grapths. The search engine list available to choose from amount to over 2,000 in total, in virtually every country in the world. There various options are searching from the same search engine in different ways including Google search results without Geo-location results, Google Places, Images and News, etc. 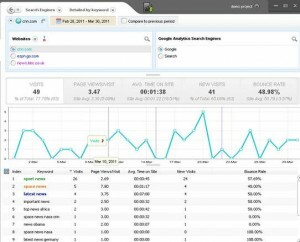 After running the SERPS positions, the results can be viewed in either graphical or textual format. Among the available data for each keyword is : the current position, the best position reached, the increase or decrease compared to a previous scan. 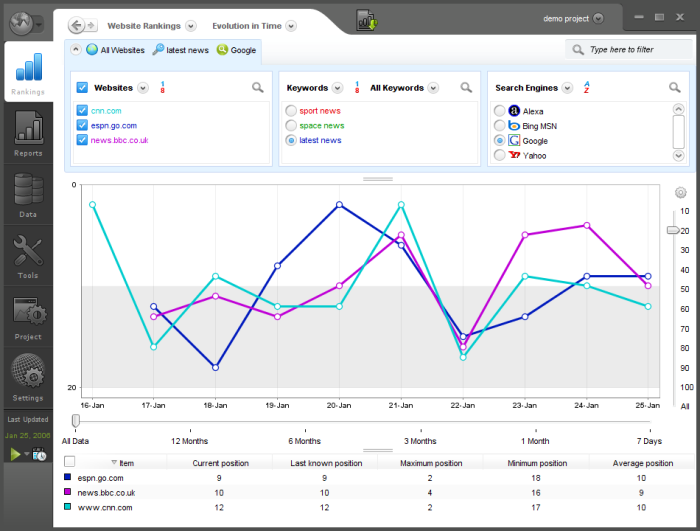 Multiple types of reports can be created to summarize the position of each individual keywords including trending over time (previous 7 days, month, 3 months, 6 months, 12 months or all time). Each report can be exported in PDF format (my favorite), xml, csv and html. You can customize the header and footer to insert your company logo for example. With the html report you can also customize the style sheet to match the design of other reports that you create. Another useful option is the scheduling of your ranking reports. You can decide to check your ranking on a daily, weekly, monthly basis or even every x days. At the end of the rank check Advanced web ranking can be scheduled to automatically create one or more reports and save them in a folder, send them by mail or transfer them via FTP to your server so they can viewed online by your client for example. In conclusion, Advanced Web Ranking is definitely one of the most interesting rank checking software solution currently on the market, a “must have” for the webmasters, SEO consultants, web agencies and in-house professionals looking to optimize their time. This entry was posted in SEO on May 12, 2012 by chris.